These speakers are designed to look good in every room. They are inspired by top-of-the-line designs and word with today’s most advanced and stylish televisions and electronic components and go with the perfect union of great sound and contemporary beauty. Enjoy listening to your favorite jams with these affordable shelf speakers that feature wide-dispersion woofers and tweeters for thrilling sound that keeps you rocking. These durably-constructed speaker systems will refresh your appreciation for your music collection. Enjoy your favorite music in any room of the house with quality sound from these great speakers for the bookshelf. Should I Add A Subwoofer? These loudspeakers offer legendary sound, classic look, exceptional quality, and value. Small speakers can provide big sound. These models may not be large, but these are packed with a high-resolution audio punch. They deliver high-resolution audio, so you hear the music just as it was recorded. 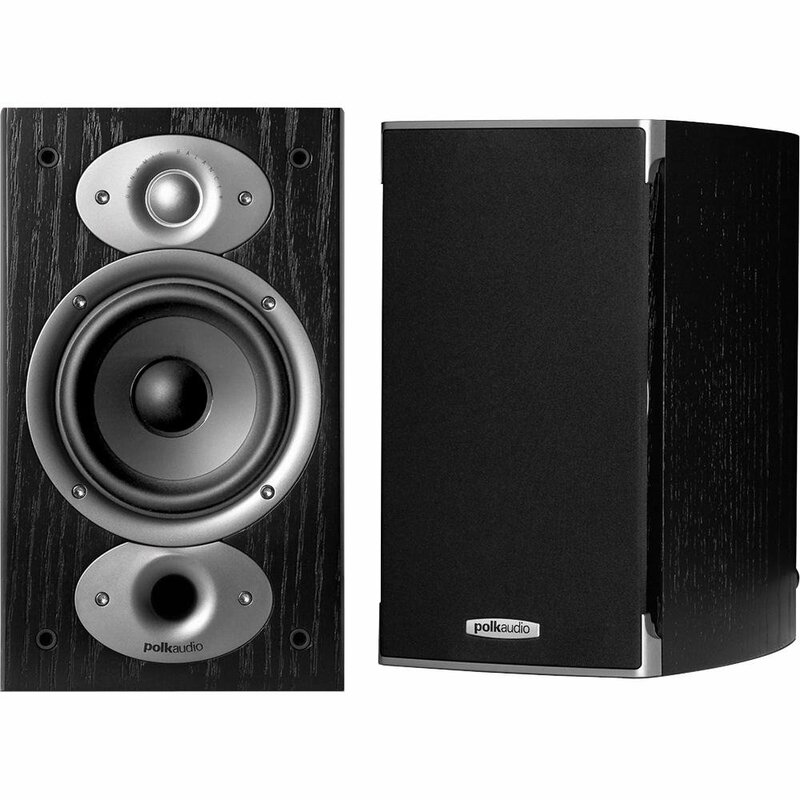 One of the most popular speaker sets in the budget price category under 100 dollars used to be the Sony SS-B1000. Now their price has gone up to close to $200. Gadgets in this price group provide an excellent foundation for a multi-channel home theater system or a stereo-only music system. These speakers would suitably fill out your home theater with surround sound, enliven your dorm or apartment with music, or provide a gentle background ambiance in your bedroom or studio. When trying to find the best bookshelf speaker that is currently available in the marketplace, one of the most important things that should be taken into account would be brand name, as it will be indicative of the quality. As the SS-B1000 model is made by Sony, you can be confident that this will be an option that will not lead to frustration. When it comes to technical specifications, this can also be classified as a winner within the product category. It has an impedance of 8 ohms, frequency response of 80 to 50,000 hertz, and 120-watt maximum output power. Based on the bookshelf speakers reviews shared by those who have used such in the past, it is exceptional with regards to durability. Even after several years of use, you can expect the product to be still functional, and most importantly, the audio output to be still superior. This benefit is most probably because it is made by a highly-trusted brand. Even in spite of the affordable price tag, you can anticipate that quality is never compensated. This is unlike in the case of other cheaper models wherein you can expect the quality and functionality to be inferior as well. 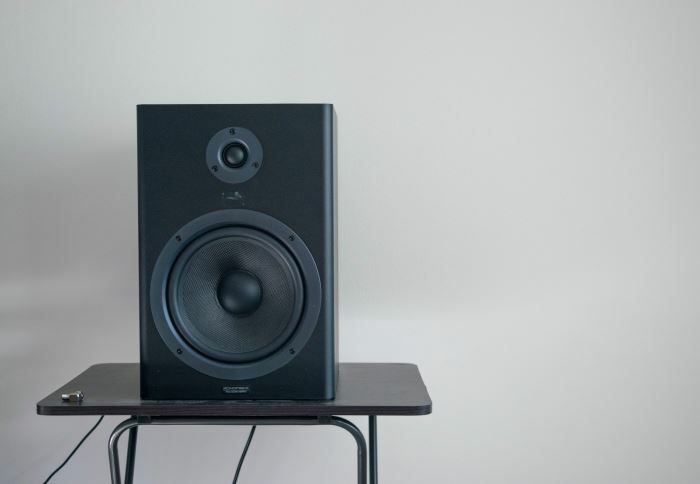 This pair of bookshelf speakers will undoubtedly provide great value for your money. Even if the technology that is found in such is said to be traditional, you can expect for it to perform better or at par with the newer options that you will be confronted with. 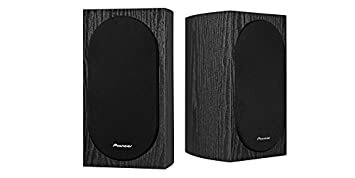 If you are looking for a pair in the $100-200 price range, you should also check out Pioneer SP-BS22-LR speakers. Just like in the case of the model from Sony that has been mentioned above, the Pioneer SP-BS22-LR Andrew Jones Designed speakers have gained its popularity because of its reasonable price point. It serves as a proof that excellent speakers do not always have to punch holes in the pocket as they can be made affordable. More than its affordable price, many people have opted for this model because of the true curved cabinet design. This makes it a visually-appealing item in any entertainment room or to anywhere it is intended to be placed. Its design does not only make it appealing but also contributes to the reduction of standing sound waves for better output. It is equipped with soft dome tweeter with high efficiency. If you are unfamiliar with such, it is basically the one that is responsible for the ability to play louder audio in the absence of using too much power. This technology has been specially developed by Pioneer to set its product apart from others within the competitive landscape. Aside from the tweeter, another important feature that should be given emphasis would be the 6-element high-quality crossover, which has been also specially designed by the manufacturer. This will provide you with the guarantee of the highest quality of audio, different from what you can expect with the models that make use of inferior crossovers. Lastly, it is also integrated with a woofer that is known for improving bass accuracy and rigidity. It is very seldom that you will be able to find a model that is made in order to deliver the highest level of accuracy when it comes to bass response. If the crisp and powerful sound of SP-BS22-LR bookshelf speakers will inspire you to expand your setup, the Pioneer SW-8MK2 powered subwoofer and SP-FS52 floorstanding loudspeakers will be great addition to your home cinema system. Klipsch has never stopped to amaze me. Their Synergy series has brought a lot of meaning to what a quality delivery is like, speakers with excellent accents and exceptional state of performance are what they’re aiming to deliver. Now another revolutionary speaker has been born – the Klipsch B20 Synergy Bookshelf Loudspeakers, a mid-level speaker that can bring you to above standard performance. 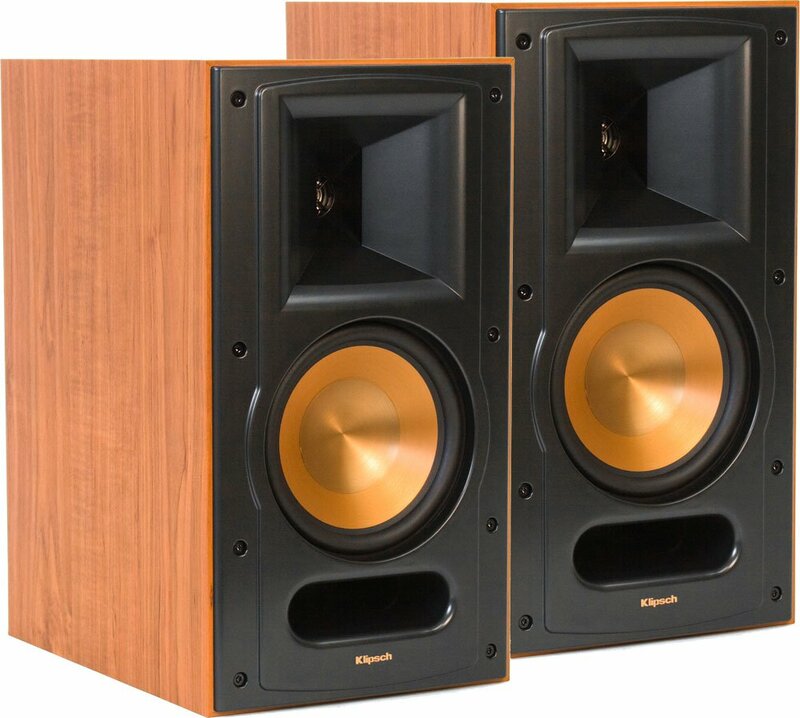 The range that Klipsch Synergy B-20 Bookshelf Loudspeaker produces can never be disappointing. Instead, it’s a more satisfying and a perfect, exceptional speaker in a very affordable package. And you know what? These speakers solved a lot of things in my little music/movie room because it’s like producing a nicely blend audio that could make you really appreciate the sound. And what about movies? 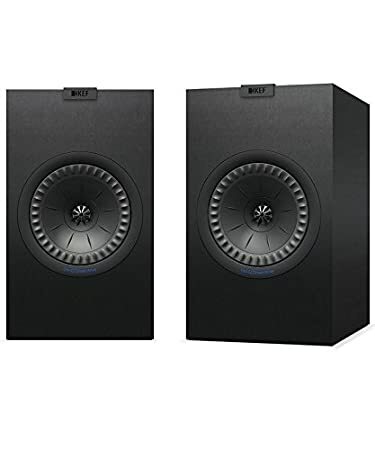 Well, if you’re talking about the surround sound, this is the speaker to get, cheap, and yet it maximizes the output quality that you could find on other high-end surround speakers. You will get the maximum detail in a maximum quality; Klipsch delivers digital audio that every one of us would love to experience. But that’s not all. This speaker offers not only a winning delivery performance but a look and a style perfectly fashioned as a décor in my hub that comes with black ash finish with titanium accents. What a beauty it is. It is terrific to have something that cost less, yet brings the level of performance into what quality is defined. You could do no wrong with this kind of speaker system whether you’re a typical man or even a musical–movie person like me. 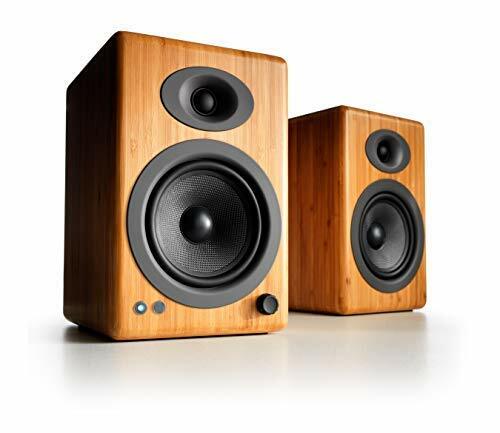 This third generation bookshelf speakers model provides features that satisfy every occasion. When you buy a pair of B20s, you may also want to look into the Klipsch Synergy C-1 Center Channel speaker and a subwoofer. When talking about the Klipsch Synergy B20 speaker set, the first thing that would come to mind is the fact that they are bookshelf speakers. While specified to fit in a tight space with other objects, this compact commodity has better sound quality than other speakers of same or larger heights. Unnecessary treble from noises are filtered, and the resulting presentation is crisp and clear, a fact adored by all users of these marvelous units. The tiniest detail in the sound full of different voices and noises can be heard perfectly, even letting the ears pick up on a specific noise without too much hassle. The sound control is excellent as well, because most rooms where these speakers would be used are medium-sized, and in that amount of space, just an average level of volume is enough to liven up the whole atmosphere. They can contain their own sound too, which means they are perfect for residential usage. The only notable disadvantage that could come with using the B20 speakers would be relying on a sub-woofer to make the quality of the audio presentation indeed reach its maximum potential. Otherwise, these are just about the best speakers anyone could ask for in their size. These are great for use where high-quality audio is needed. I will not spend much time on this range of bookshelf speakers, as I have posted a dedicated review of best bookshelf speakers under $300. These speakers are built for value and sound quality, boasted with a stylish look that complements today’s flat screen technology. They produce rich and warm sound making your music and movies sound their best. 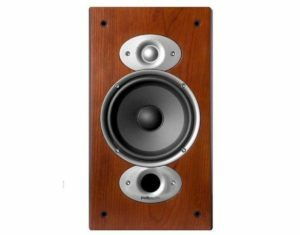 The Polk Audio RTI A3 are some of the options that you might find when you are looking for a product within this price range. They have enclosures free from resonance to make sure of high-quality audio and also Power port technology for the reduction of noise. JBL also has loudspeakers at this price point, which has been liked by many of its users because of the incorporation of 1-inch pure titanium dome tweeter that is credited for the maximum frequency of the speaker. It also comes with aluminum waveguides for the improved dispersion of audio. The speaker from Audioengine is another option that is worth taking into consideration. Even in spite of the compact size of this model, it has the ability to deliver high quality performance to any room at which it is placed. Also, in spite of its size, this model comes with commendable bass response. As you try to make a well-informed choice on the best that is available, do not forget to take into consideration the design. The Polk Audio RTI A1 speaker features asymmetric cabinet, which is known for the ability to combat vibration. In return, it delivers clearer sound output. This product is replete in terms of proprietary technology that makes it stand out from the rest of the options that are available. One good example of such technology is known as the Dynamic Balance. This is basically the one that minimizes distortion and resonances that can have a negative impact on the sound that is being reproduced. Another innovative technology that is worth noting is the laser measurement technology that is used by the motor of the speaker. With such, the performance remains to be consistent, regardless if it is going to be used in high or low volumes. This Polk Audio speaker is also packed with Acoustic Resonance Control. This innovation is attributed to the suppression of cabinet resonance that can potentially cause distortion. The outcome would be sound that is characterized by clarity and being natural. Before this speaker is released in the market, which is also the case in other Polk products, it has been rigorously tested to be assured that it passes the highest standards of quality. For instance, it has undergone drop testing to make sure that it will be unsurpassed when it comes to durability. In many of the opinions shared by its users, beauty, performance, and value sum up the things that can be expected from such. This is a good choice if you want one that has pleasing aesthetics, promising in terms of audio quality, and most importantly, will not hurt from a financial standpoint. 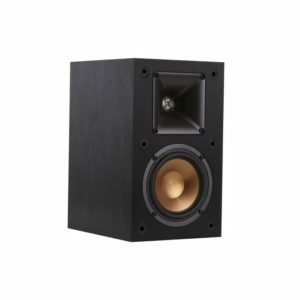 If you are looking for loudspeakers that can also be conveniently connected to your computers and other devices, the A5+ from Audioengine is a good choice within this price range. This model also has better thermal management, which leads to better sound quality. Another option, if you are working on a budget that is below 600 bucks, will be the 3-way loudspeaker from JBL. This is known for its free-flow port technology. This is an innovation that makes it possible to have the least amount of distortion that is possible while having an assurance of superior audio quality. Klipsch will be another good option. Their speakers have excellent high-frequency response and compact size to fit even in small spaces. Additionally, they have also been credited for their high efficiency, which allows them to produce great sounds while being able to consume minimal energy. If budget is never an issue, this will prove to be an unrivalled choice. This is commonly chosen by those who are ready to spend more rather than settle with the cheaper models. As it is expensive, you can be guaranteed that its build quality will also be superior, as proven by many others who have held their hands into such. The Klipsch RB-61 II model is already the fifth version within the product line. This means that it has the same trusted technology that has been known for many years while making sure that there are improvements done in order to address the past issues and to keep on innovating to match the other models from the competitive landscape. One of the most advanced technologies integrated into this model is known as the Tractrix Horn Technology, which is exclusive to the manufacturer. The latter is the one that is responsible for power, precision, and clarity, which are three of the most important things in replicating high-quality audio. When it comes to appearance, this model is sure to be not a disappointment as well. It has ash woodgrain vinyl veneer finish, which is sure to captivate the attention of anyone who will be able to see the speaker. This also makes it easy to be matched with any décor. Klipsch speakers, including this one, are built on what are known to be their four pillars: wide dynamic range, high efficiency with low distortion, flat frequency response, and controlled directivity. These pillars make sure that this model will be one of the best you could ever have. Audioengine A5+ is another option that can prove to be perfect for those who do not care about how much they spend, as long as they are sure that the best quality is enjoyed. It may be shocking in terms of price, but the benefit would be its reliability and build quality. This an active speaker set. That means it has an amplifier built in, so you just need a source of music to plug in. While many of the models available are complicated in terms of operations, this model is different in the sense that its use will be a piece of cake. You do not have to be a genius to figure out how you can make the most out of it. The buttons are conveniently placed so that they can be easily accessed when adjustments should be made. Versatility is one more thing that creates a difference in this model. It is known for more than just being a high-quality speaker. For instance, it has a USB port that can charge your gadget. It also comes with a headphone jack and connections to your computer, which can be also linked with ease as there will be no software or driver requirement. Many of its users also find delight in the fact that it comes with a small size, making it efficient with the amount of space that is consumed. In spite of its sleek profile, however, power is never sacrificed. It comes with a powerful bass that creates a punch, regardless of whether the speaker is used in high or low volume. If you are familiar with the A5 model, this is an upgrade from such. This is an improvement of the earlier mentioned, as a response to the problems that have been apparent. With this, you can be confident that this is an investment that you will not regret. While it can prove to be expensive, there is no doubt that this is one of the best. Every dollar spent will prove to be worth it with the quality of sound that it produces. Many of models in this price range can be named among the best bookshelf speakers available on the market right now. The speaker system KEF Q350 (a replacement for the legendary Q300R), for instance, features innovative bass technologies that will surely be able to make sounds that will be heaven for your ears. To add, it also comes with Uni-Q Driver, a patented innovation to the manufacturer, which allows sound to be dispersed on a much wider scale. A good speaker of such is its exclusive design, which makes the system look a sophisticated addition to any room. As you begin your search for the perfect speakers in the market, one of the things that should be given emphasis would be the drivers or cones. They are critical in making sure that the speakers will deliver superior audio quality as they are basically responsible for the production of sound waves from electrical energy. In the case of bookshelf speakers, you can expect two drivers: tweeter and woofer. The tweeter handles the high end sound requirements, which can be up to 20 kilohertz. On the other hand, the woofer handles the bass end, which is commonly 40 to 100 Hertz. There are also 3-way speakers, which integrate midrange drivers in order to handle midrange frequencies. For full-range speakers, on the other hand, the low, mid, and high sounds are sourced from a single driver. If you are buying a full-range speaker, I highly recommend that you do not settle with cheaper models as they are often inferior in terms of quality. By having an understanding of such, it will be easier for you to make sure that you are going to end up choosing a model that can prove to be suitable for your requirements. The frequency response of a speaker will be basically indicative of the range of sounds that can be produced. The better choice would be one that is able to deliver extreme lows and highs in a way that sounds to be natural. If you are looking at the higher end models within the product category, your emphasis should be on accurate bass. On the other hand, if you are looking at more affordable models, extended high-frequency response should be your priority. The perfect choice is a speaker with balanced frequencies. With the bookshelf speakers, most of them range from 45 to 20,000 Hertz. Most of the great bookshelf speakers have an impedance of 8 ohms. Other speakers normally have an impedance of 4, 6, or 16 ohms. Like in the case of impedance, it is important to pay attention to voltage sensitivity to find the right amplifiers for the speakers. This will be indicative of the loudness of the output within a specified voltage. The voltage sensitivity is normally expressed as X dB per X V input. For bookshelf speakers, 86 dB will prove to be enough since it is intended for smaller amplifiers. This specification is expressed in watts and will provide you with knowledge of the amount of power that can be handled by the speakers. The important thing to do is to first check the output of the amplifier to know what can most probably be the right choice. A subwoofer is a critical addition for the purpose of the reproduction of extremely low bass frequencies. It is a good addition for bookshelf speakers because of its ability to create superior mids and highs, and in the end, guaranteeing fuller output. Some of you might not be able to appreciate the importance of being able to reach lower frequencies, such as 50 hertz or below. 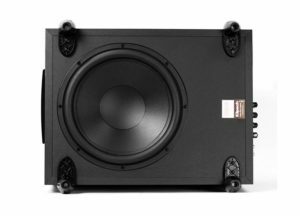 In reality, however, it is very important in order to achieve full-range, which explains why you might want to consider getting a subwoofer. By adding the subwoofer, you will also be able to enjoy the accuracy and power of bass delivery. With this, you will have a more immersive listening experience, whether you are watching a movie, playing a game, listening to music, or doing other things that are possible with your speaker system. If you have a pair of bookshelf speakers or considering buying one, you will surely not regret having a subwoofer as well. Based on my experience, as well as that of many others, it takes entertainment to a higher level. I am currently working on a list of questions that will give some clarity about multiple topics. Q: Can bookshelf speakers be used as front speakers? Q: How high should bookshelf speakers be? A: They should be set up at your ear level using speaker stands or floor plinths. That is because the human ear is capable of precisely locating the position of high-frequency sound sources. If you set up the speakers too close to the floor, the soundstage will be depressed. Q: What are the differences between 4 ohm and 8 ohm bookshelf speakers? Q: Which brand offers white bookshelf speakers? A: KEF Q350 and Audioengine A5+ mentioned above are available in white finish. More coming soon!